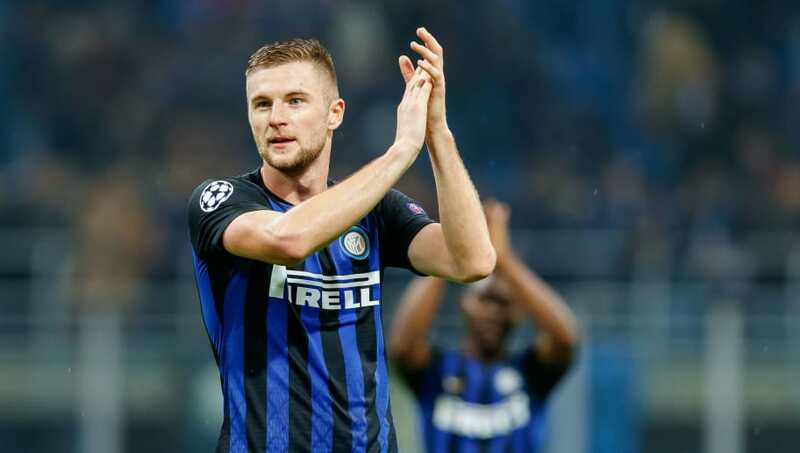 Any club wishing to buy Milan Skriniar must break the world record for a defender, but the Slovakian has yet again made it abundantly clear that he is not interested in leaving Inter. Skriniar has repeatedly insisted that he wants to stay at San Siro but reports linking him with a move to Manchester United have not gone away, with some suggesting that the Red Devils have already had a bid of €60m turned down. Sick and tired of the baseless speculation, Skriniar spoke out in an angry Instagram post. It was hastily deleted, but not before the ​Manchester Evening News had gotten wind of it. "You write things that you don’t even know," Skriniar said, sharing an image of a Slovakian newspaper speculating about his future. "You are sh***. Now write an article on this." ​Tuttomercatoweb, the source which claims that ​United have had a €60m bid rejected, also claims that Inter feel they have a 'moral obligation' to break the transfer record for a defender. The current record holder is Virgil van Dijk, for whom Liverpool paid Southampton £75m (€83m) in January 2018. It would therefore require a bid in the region of €85m – €90m for Inter to consider selling Skriniar. ​Inter signed Skriniar from Sampdoria for €20m in July 2017. In his first year at the club, he helped them to qualify for the Champions League, and they are well placed to do so again at the midway stage of this campaign. Skriniar has repeatedly stated his commitment to Inter and they are hoping to repay his loyalty with a lucrative new contract offer.